Western countries including Canada, France and Germany called on China on Tuesday to close down detention camps, which activists say hold 1 million Uighurs and other Muslims. At a debate at the UN Human Rights Council in Geneva — which reports on human rights in each UN member state every five years and is reviewing China’s record this week — Beijing said it protected the freedoms of ethnic minorities. But one after another, Western countries spoke out against what they described as a deterioration in China’s human rights since the last review, especially over its treatment of Muslims in the western province of Xinjiang. Canada’s envoy Rosemary McCarney said Ottawa was “deeply concerned by credible reports of mass detention, repression and surveillance of Uighurs and other Muslims in Xinjiang. “Canada recommends that China release Uighurs and other Muslims who have been detained arbitrarily and without due process for their ethnicity or religion,” she said. Similar statements were made by diplomats from Australia and Japan. In his opening speech, Le Yucheng, China’s vice minister for foreign affairs, made no mention of the allegations of mass detentions. “We protect the rights of ethnic minorities in accordance with law, all 55 ethnic groups are represented in the National Congress and Chinese Communist Party,” he said. China has said in the past that Xinjiang faces a threat from Islamist militants and separatists. It rejects all accusations of mistreatment and denies mass internment, although Chinese officials have said some citizens guilty of minor offences were being sent to vocational centers to work. 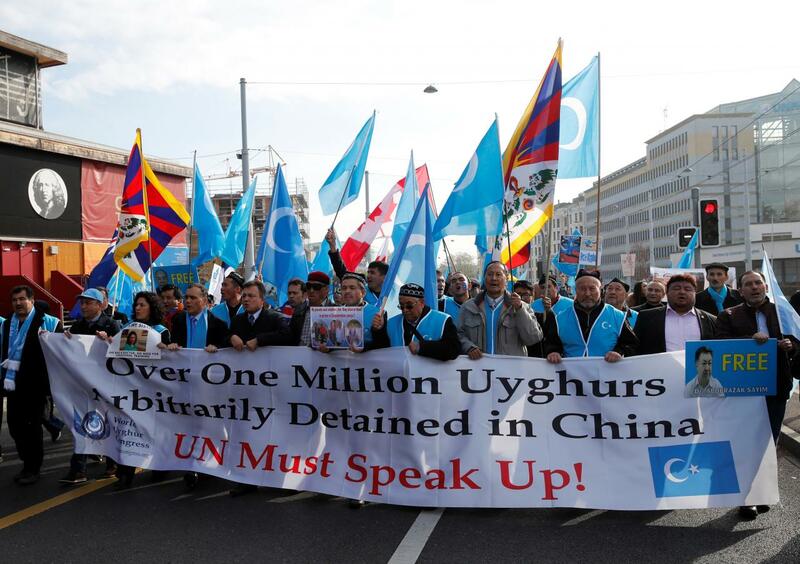 Around 1,000 Tibetan and Uighur protesters from around Europe protested outside the UN headquarters in Geneva during the debate.